Some mould makers prefer to perform certain rough machining operations on the mould block before the mould undergoes normalizing heating, while others prefer to carry out the latter process immediately after receipt of the steel. 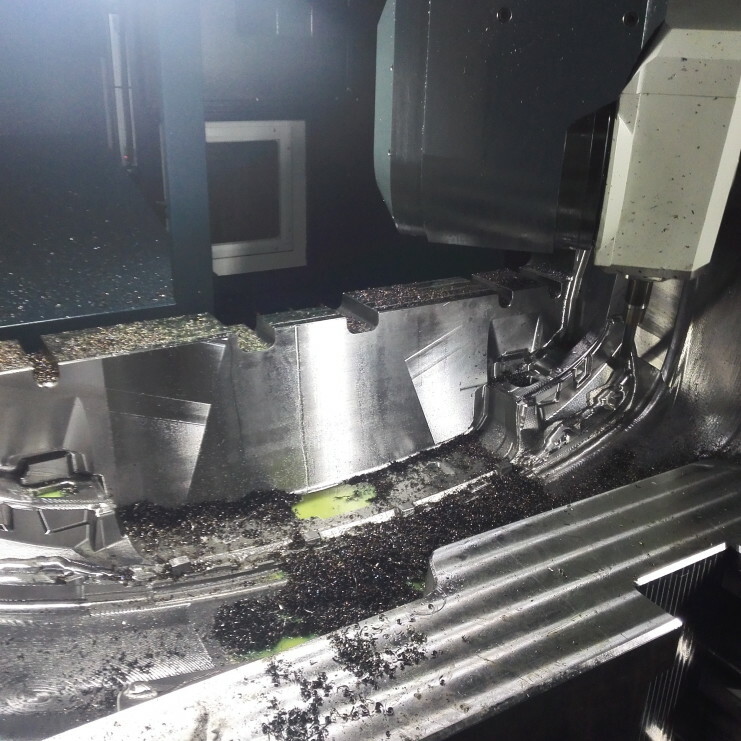 Where the former method is adopted, some little care must be taken to insure that adequate amounts of material are left on all important portions so as to allow sufficient machining depth after normalizing, when some change of shape usually takes place. After the mould steel has thus been normalized and machined up in readiness for the hardening operation, it is essential to make certain that all surfaces have been well polished, especially the walls of the cavity，which, of course, should be entirely free from scratches, burrs, turning tool or milling cutter marks, engraving lines, chatter effects, and any markings, however slight and apparently unimportant they may appear to be. Marks and disfigurations of such a character may prove too deep for easy removal by the usual polishing or buffing operations after hardening, and in addition to their being permanent faults in the mould surface, will also become the source of unsightly markings on the exterior of the finished moulding. Furthermore, it will often be found that such fine scratches, etc.” become in the course of time the source of hair like cracking of the mould surfaces, or the cause of other developing flaws in the polish or smoothness of the mould cavity. All sharp corners or knife edges, even when situated on non-essential exterior surfaces，should be smoothed off, and if permissible slightly rounded or beveled. Recesses, undercuts, or counter-boring,as for screw heads, should be smoothly finished and polished, because a torn surface in the material may prove doubly harmful and trouble¬some to remove after hardening. 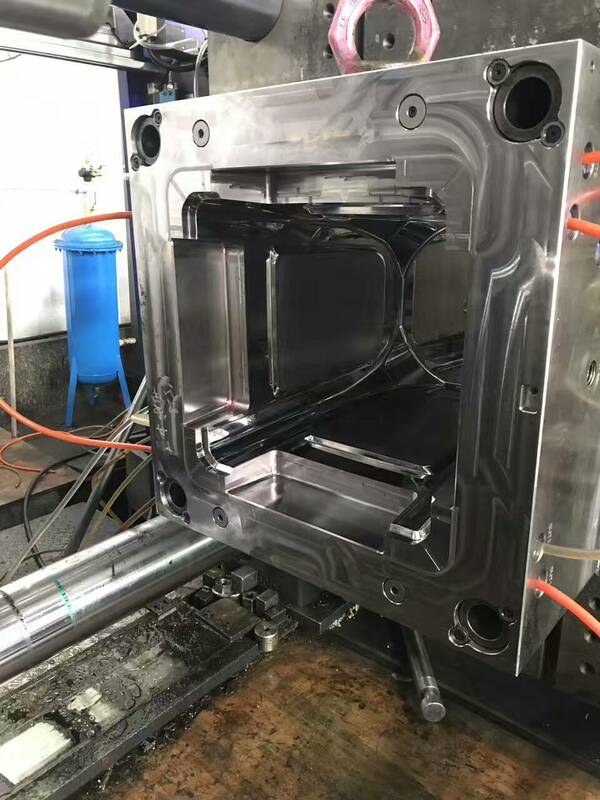 Where portions of a mould are thin due to heavy undercutting for cavity formations or to receive other mould mechanisms, special care will be necessary lest hardening produces excessive distortion at such points. It is customary to equip such a mould with supporting pads, these being located temporarily under the weakened portions and so fitted as to allow them readily to be removed after the harden¬ing operation. In this manner, accuracy can be maintained. Overhanging or projecting pins, dowels, cores and other similar parts, especially if of slender proportions, should never be left in the mould block whilst the latter is being hardened. This practice would inevitably lead to their distortion and misalignment as such small size pins would undergo a considerable amount of sag when heated and lack of support would cause permanent distortion. Similarly with bushings employed as hard guides of a detachable nature for sliding cores, dowels and the like. Such components should always be hardened up separately and fitted into the main block positions after the main block has been hardened. If this is not done, the heat of hardening will produce a loosening effect upon the bushing in its housing, or may cause it to become cracked as a result of unequal expansion, or by expanding to a greater degree than the main blocks. ← What is die castings?